As of February 2018, the World Health Organization (WHO) has estimated that approximately 5.5 million people are bitten by snakes each year, and about 2.7 million contracts a deadly disease called snakebite envenoming. This is an issue in most tropical and subtropical regions of the world. Asia takes the top spot as far as envenoming goes, with 2 million affected annually, most of these individuals are from low- to middle-income countries where healthcare resources are limited. Venomous snakebites cause physical and mental trauma to a large population and even death in some cases, and to date, for over hundreds of years, the only specific treatment for this has been anti-venom therapy. Therefore, certain researchers at the University of California, Irvine, developed an approach to treat and possibly cure the condition. For this purpose, they designed synthetic nanoparticles, which when bound to the toxins present in snake venom (i.e., in the blood), sequesters and reduces its poisonous effects. The study has been published in a recent issue of Public Library of Science (PLOS): Neglected Tropical Diseases journal. Typically, snakebites are treated by the intravenous administration of anti-venom that is made up of powerful antibodies called immunoglobulin G (IgG). These medications, also known as anti-serum, improve the body’s immunity and defenses, which in turn, help in eliminating the toxins in the bloodstream. But in order for effective reversal or treatment, an adequate dose of the anti-venom must be administered by experienced healthcare workers, and within a short period of time. 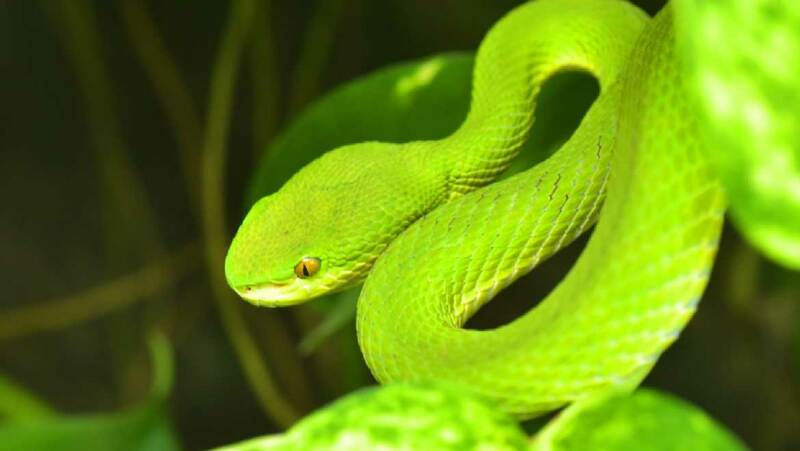 Apart from this, measures such as drugs, (e.g., anticholinesterases), artificial respiration, dialysis, and even surgery may be required for some patients of the snakebite. Rehabilitation for several days may also be needed, especially in cases where neurotoxic venom was involved. The study, led by Kenneth Shea, described a method by which engineered nanoparticles (NPs) can sequester and bind to the toxin molecules present in snake venom, and stop or, at least, nullify its harmful effects. Specifically, the small abiotic hydrogel particles were made to interact with the phospholipases A2 (PLA2) and the three-finger toxin (3FTX) molecules present in elapid snake venom that was used for the research. 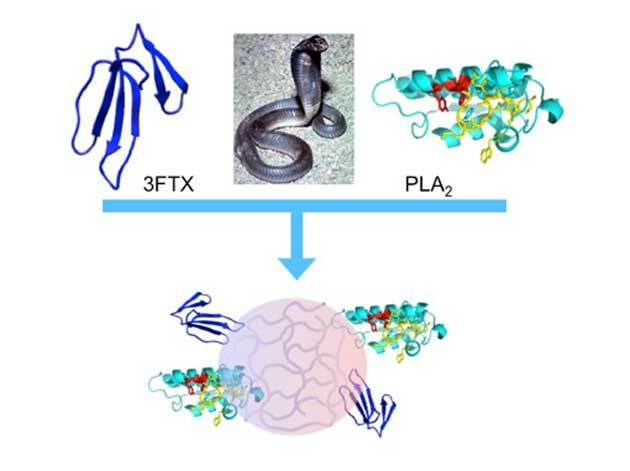 The NPs were chosen after an evaluation of many natural and synthetic candidates as venom inhibitors; a process called directed chemical evolution (DCE) was employed to identify the appropriate chemical composition needed for the interaction of nanoparticles with the target proteins of snake toxins. 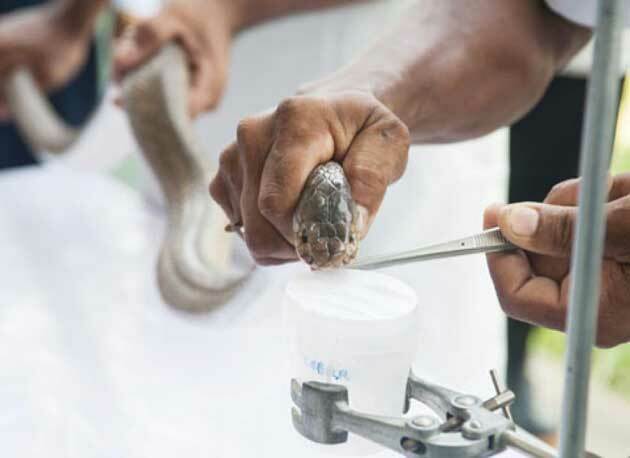 The scientists tested their novel innovation on mice injected with varying doses of the venom of a black-necked spitting cobra (Naja nigricollis) of the Elapidae family. Results showed that the necrotic effects such as blisters and ulcers, usually presented by victims of cobra bites, were significantly reduced in the mice. The control mice that did not receive venom, when injected with the nanoparticles, did not display any effects on skin, and there was no systemic toxicity either. The paper states that all the animal experiments were approved by the Institutional Committee for the Care and Use of Laboratory Animals (CICUA) of the University of Costa Rica (CICUA 82–8). It also meets the requirements of the International Guiding Principles for Biomedical Research Involving Animals of the Council of International Organizations of Medical Sciences (CIOMS).